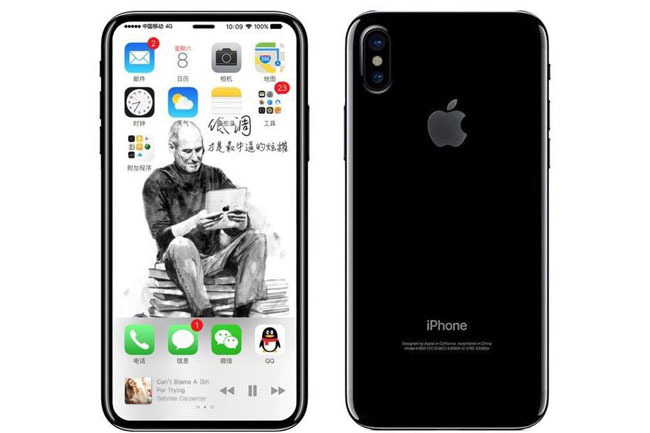 Three alleged Foxconn employees have posted information about some of Apple’s upcoming products, such as the iPhone 7S and iPhone 8. Foxconninsider referred to the overhauled iPhone as the iPhone X, and that production has been delayed, which is in line with some rumors that have surfaced recently. The user noted that some of the leaked designs weren’t accurate, and explained that the new version looked “more like an iPhone 7 with glass and without the AuthenTec’s capacitive touch module.” When asked which leaked image it looked like the most, they said that the middle one was the most accurate. The rear camera has been reoriented, and the bezel on the phone will be thinner on the Y-axis. They detailed some other tidbits about the overhauled model: it would come with 3GB RAM, that it doesn’t have an aluminum unibody, but instead had a “composite glass to allow wireless charging,” with a rear panel. They also noted that the new iPhone will be “water resistant” (a feature already shared by the iPhone 7), and that they won’t use USB-C.